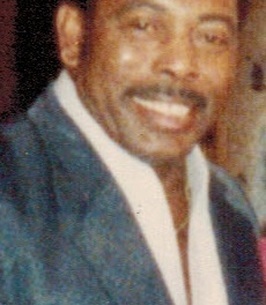 Tommy Lee Moss was born in 1932 to Alberta (Green) and Leo Moss in Lake Charles, La. and departed this life October 14, 2018. He attended school in 2nd Ward before a stint in the United States Army where, in addition to his military duties, he also represented as a Heavyweight Boxer. Upon his return to Lake Charles, he taught boxing at the Reynaud YMCA. Over the course of his life, he was employed as a truck driver, plant operator for Firestone, and as a security officer at the time of retirement. Tommy was married to his soulmate and best friend, Dorothy Lee Collins, for 38 years. In 1993 they moved to Houston, Texas to allow Dorothy to further pursue her nursing career and be near her children. Mr. Moss was preceded in death by both parents, sister Marilyn Dunning, brother Leo Moss, and in July 2008, his heart was broken when he lost his beloved daughter, Jaquelyn Marie Moss Armelin. In addition to his loving, devoted wife, Tommy leaves to cherish his memory, brother Roy Lee Moss, sisters Geraldine Tutson, Evelyn Hanks (Floyd), Brenda Sallier (Herman), his loving son and namesake, Tommy Lloyd Moss,II all of Lake Charles, La., 3 daughters, Monica Sylvester of Beaumont, Tx., Terrie Robertson of Humble, Tx., Tammy Campbell (Kenny) of Lumberton, Tx., stepsons Joseph Johnson (Shirley) of Beaumont, Tx., Kenley Semien (Armedda) of Houston, Tx., and David Semien (Sigrid) of Lufkin, Tx., stepdaughters, Voyce Charles (Fitzroy) of Beaumont, Tx. and Lessie Semien of Houston, Tx. He had 37 grandchildren, 57 great grandchildren, 9 great great grandchildren and numerous nieces, nephews, other relatives and friends. Because of proximity and the fact that Dorothy was instrumental in her grandchildren’s life, Tommy had an especially close connection to grandson and “Buddy” Donovan Lawson and his brother and sister, Christian Semien and Bianca Avery. To send flowers to the family of Tommy Lee Moss, please visit our Heartfelt Sympathies Store.